We work with artists from around the world to bring unique, artistic products to decorate all aspects of your home. Our designer Shower Curtains will be the talk of your guests every visit to your bathroom! Make a statement in your bathroom with these one-of-a-kind shower curtains. Custom shower curtain brings your passions to life with the perfect item for every occasion. With thousands of designs to choose from, you are certain to find the unique item you've been seeking. Update your bathroom with a unique shower curtain featuring your favorite decorative or vintage design. And with Custom shower curtain, your satisfaction is always our promise...buy with confidence, as we offer easy returns and exchanges and a 100% money back guarantee. 1.Made of 100% polyester. Polyester material does not hold moisture and will not grow mildew.Dye Sublimation printing adheres the ink to the material for long life and durability. Machine Wash upon arrival for maximum softness on cold and dry low. 2.Our Shower Curtains have Sewn reinforced holes for curtain rings. 3.This shower curtain includes a printed front, blank back, decorative shower curtain Hook. Shower rod,waterproof liner are not included. 4.The design is professionally printed with vibrant color, and is sure to brighten the look of your home decor or dorm room. 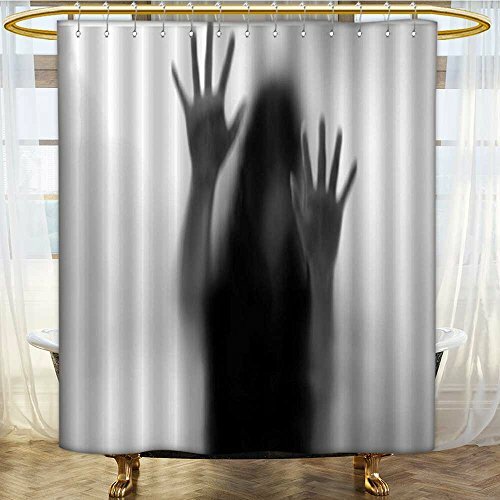 These shower curtains make great house warming gifts, and are a great gift for men, boys, and girls or a luxurious indulgence for yourself. 1.Pls kindly understand as size varies, the photo will be adjusted for best matching, some photo edges might be cut off for best showing effect. 2.If you have any other questions about our shower curtains, please contact us via email;We will answer as soon as possible. This high quality 72 x 92 inches decorative shower curtain is made of 100% polyester, and hangs nicely from the reinforced button holes. This shower curtain includes a printed front, blank back, decorative shower curtain Hook. Shower rod,waterproof liner are not included. Please note that final print colors and image appearance may differ slightly than what appears on your screen. Machine wash cold delicate cycle, tumble dry low. Do not bleach, iron, or dry clean. If you have any questions about this product by AmaPark, contact us by completing and submitting the form below. If you are looking for a specif part number, please include it with your message.